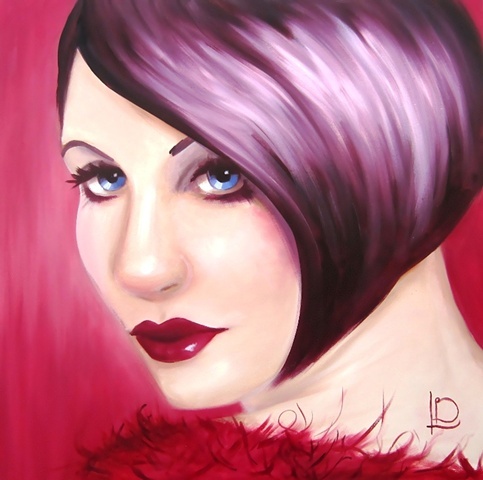 A new original gorgeous painting of a pin up with sapphire eyes and a sharp garnet coloured bob haircut. With a deep crimson background and feathered top this painting has a warm vintage feel to it. She's got those sultry eyelashes and a glint in her eye- so perfect for a bedroom... or for above your fireplace. Click to purchase this painting, or keep looking til you find the perfect woman for you!